Two SAIC faculty were recently awarded Efroymson Family Fund Awards of $25,000 to support their artistic practices and help develop their work. 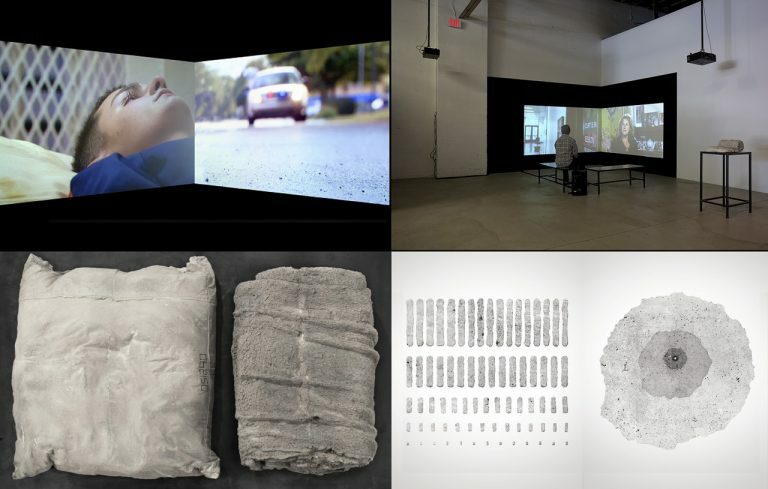 Associate Professor of Film, Video, New Media, and Animation Tirtza Even and Associate Professor of Art Education Andres Luis Hernandez (MA 2004) were two of five artists selected by a five-member committee blind selection process. Tirtza Even has spent the past 20 years making documentaries and video art. Her interactive and linear video work often represents the social and political dynamics of specific settings such as US prisons, refugee camps in Palestine, or the lives of migrant workers in Spain. This fellowship will support Even’s artistic travel and allow her to complete three video projects currently underway. Andres Hernandez explores the physical, social, and cultural environments we inhabit through interdisciplinary art and design. His work has taken the form of archival research, writing, public programming, performances, workshops, and more. This fellowship will allow Hernandez more time to focus on his artistic practice and curation as well as marketing and equipment rental. Established in 2004, the Efroymson Contemporary Arts Fellowship supports artists at all stages of their careers. The unrestricted award can be used for anything from living expenses to artistic research. Fellows are chosen based on the impact the award will have on their careers and their level of quality, skill, creativity, and uniqueness.